Last weekend was a bumper edition of lottery draws, with not one, not two, but four jackpot rollovers in the US, UK and Europe. Small wonder then that lottery players the world over were glued to their screens on Friday and Saturday night, hoping to claim one of the huge rollover jackpots up for grabs. We know we were! Mega Millions makes a mega million winner! Let's start with the good news first - and some whopping good news at that. Friday's Mega Millions draw was a doozy, with a massive $270 million on the line, thanks to a recent streak of rollovers. Can you even imagine what winning $270 million would feel like? Well, one lucky Illinois player can, because they managed the incredible feat of matching all six numbers for a giant jackpot win! That's the lottery that rocked. Unfortunately all the other lotteries rolled - and yes, by that we mean rolled over for another week. Powerball's $194 million jackpot, the UK National Lottery's £5.7 million, and the EuroMillions' £19 million - each one of them left lottery players empty-handed as the jackpots rolled by unclaimed. It wasn't all bad news though. While the Powerball grand prize jackpot has now rolled over to an even more impressive $208 million, at least nine states reported $1 million winners after Saturday's draw. That's nine more millionaires in the world (and nine more people to add to your Christmas card list!). Similarly in the UK Lotto, three players matched five main numbers and the Bonus Ball for a fabulous win of £150,329, while 50 Lotto Raffle winners each bagged a sizable £20,000 for themselves. And over in the EuroMillions draw on Friday, two lottery players were able to match five main numbers and one Lucky Star for an incredible £587,098 win. So while there may not have been an overall winner, there were still plenty of smiles and plenty of winnings to go around. You know what this means don't you? That this week is a fabulous week for winning, with the Powerball, UK Lottery and EuroMillions jackpots now higher than ever. 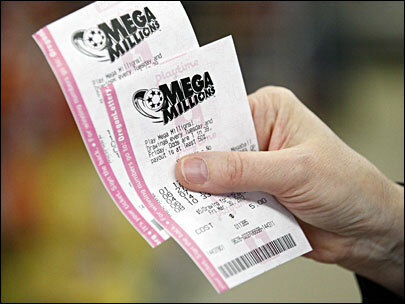 And even the Mega Millions mid-week draw stands at a more than decent $15 million after the weekend win. That means there's still everything to play for, and every lottery ticket could be worth its weight in gold! Get in on the winning action this week and buy your lottery ticket online from GiantLottos.com while there's still time. You could soon be seeing your name in lights as the world's next multi-million lottery winner! Take part in any one of the lotteries on offer here at Giant Lottos and transform your life forever! Sign up for your personal account for free, and you're on your way to being a Giant Lottos player. As a Giant Lottos player you have the opportunity to play in worldwide online lottos and access to plenty of special members only competitions. America's Powerball is responsible for creating the biggest lottery jackpot of ever, a mind-blowing $1.6 billion on January 13th 2016. The draw takes place at roughly 04:00 UK time every Thursday and Sunday and the outcomes are posted to the Giant Lottos website quickly thereafter. Mega Millions (originally called The Big Game Mega Millions is just one of the world's biggest and most exciting online lottos. It's enjoyed all around 43 states in the USA, and the US Virgin Islands and the District of Columbia. It's so convenient to play, and with the jackpot's starting at a huge $15 million, it's simple to see why the Mega Millions is so widely played.